Information provided by the US Bureau of Labor Statistics. Nursing includes the promotion of health, prevention of illness, and the care of ill, disabled and dying people. Mesa Community College's Nursing Program is a part of MaricopaNursing, a consortium of Maricopa Community College Nursing Programs. The Registered Nurse Program is four semesters in length, and combines classroom learning with experiential learning in the laboratory and clinical sites. The program has prerequisites and co-requisites. 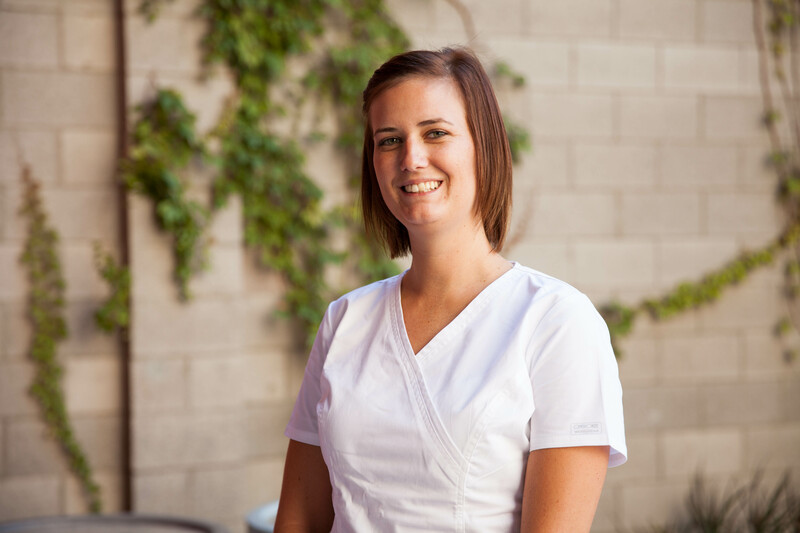 Students who successfully complete the program will graduate from Mesa Community College with an Associate in Applied Science in Nursing and are eligible to apply for licensure as a Registered Nurse. For all MCCCD healthcare students (allied health and nursing but excludes EMT – NON-Paramedic programs) who seek to begin healthcare programs on or after October 1, 2015, an additional fee of $25 will be required for Medical Documentation Tracker through CertifiedBackground. This new medical documentation service is necessary to ensure documentation compliance with clinical agencies. Students currently pay $67 for the supplemental background check through CertifiedBackground. On or after October 1, 2015, students will pay $92 to CertifiedBackground for the supplemental background check ($67) and medical documentation tracker ($25). For persons wishing to enroll in a program on or after October 1, 2015, the person must meet the existing standards for background check standards and provide medical documentation. This new charge for medical documentation tracker will provide students unlimited access to their medical documentation, even after completion of their program. 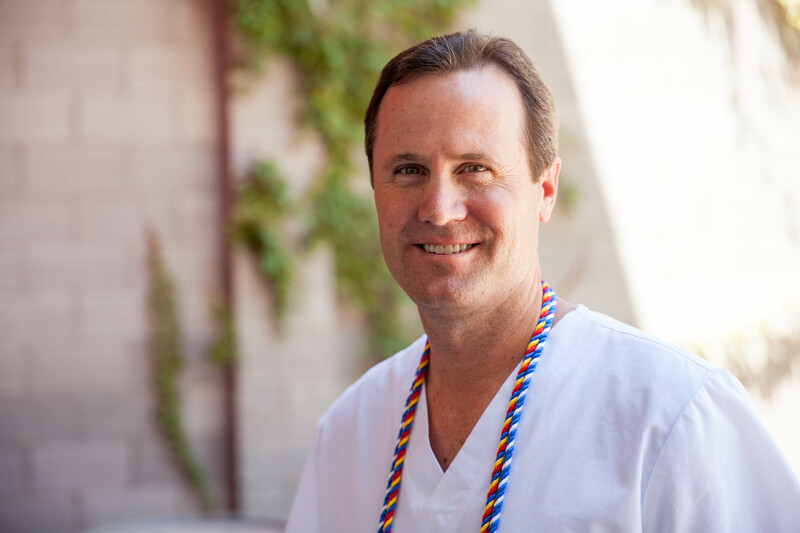 On May 26th, the MCCCD Governing Board approved a revised curriculum for MaricopaNursing. This 2015 curriculum is reflective of contemporary nursing practice and integrates Quality and Safety Education for Nurses (QSEN) and Nurse of the Future competencies. It also aligns with the 2013 changes to theArizona State Board of Nursing curriculum expectations (see Nurse Practice Act Rules R4-19-206), and Accrediting Commission for Education in Nursing (ACEN) Standard and Criteria for Curriculum. A student follows the curriculum to which they were admitted; the 2008 and 2015 curriculum will be taught within all colleges offering the AAS in nursing through December 2016. 1. MAT140, 141, or 142 or higher College Mathematics is now the required math course, rather than MAT120. 2. ENG101 First year Composition becomes a prerequisite course to entering the program. 3. PSY101 Introduction to Psychology is a course that is required to be completed prior to or with NUR172. To assure adequate communication of these changes, and allow time for those currently submitting applications to meet the changed requirement, a one-semester grace period will be provided. Applications submitted through January 31, 2016 will be accepted with completion of MAT120 or higher. However, students must complete MAT142 and ENG101 prior to graduation. 1. A team approach of 2 instructors per nursing course to foster student learning and success. 2. Incorporation of best practices in nursing education, teaching methodologies and use of learning spaces. 3. Theory and lab practice two days per week, with one or two days of additional day of lab, simulation, or clinical practice each week. a. First and second semester, students should count on four days per week for nursing coursework. b. Third and fourth semester, students will have at least three days per week for nursing coursework. Many resources are available through the online learning management system (Canvas) so students will need access to a computer and internet connection throughout the program. Morning: Classes begin as early as 7:30 am, and generally end by 3:30 pm. Afternoon: Classes generally begin around noon, and end by 7:00 pm. Information on the AAS and BSN Nursing Pathways. Concurrent Enrollment Program (CEP) Option: The Maricopa-Associate-Baccalaureate CEP Program is a program offered through participating community colleges in the Maricopa Community College District and identified university partners. A limited number of participants are selected from the pool of MaricopaNursing students who have met all CEP identified eligibility requirements and have applied for selection to a CEP. CEP students will be enrolled in Maricopa and University classes at the same time. Graduates of the CEP will obtain their AAS in Nursing and a Bachelor of Science (BSN) in Nursing at the same time, or within one or two semesters of graduating with their AAS degree. Mesa Community College nursing currently participates with six CEP university partners: Arizona State University, Grand Canyon University, Upper Iowa University, Ottowa University, Franklin Pierce University and Northern Arizona University. Download and carefully read: Nursing Admission Information and Application Packet. HESI-A2 Entrance test scores: 80% in English and 75% in Math (as of November 1, 2014). Obtain a Level 1 Fingerprint Clearance Card. Application packets can be obtained at the MCC Nursing Department front desk. General Education Courses Required for Application - Must have a "C" or better. Once you have met the above requirements, bring completed application to the MCC Nursing Department (HW8) to submit with a Nursing advisor. Mesa Community College is accredited by the Higher Learning Commission of the North Central Association of Colleges and Schools.